Marcus Eayres has been a magician since he was 8 years old. He has performed his magic in Australia, the USA and all over England and has been trained by Paul Daniels. 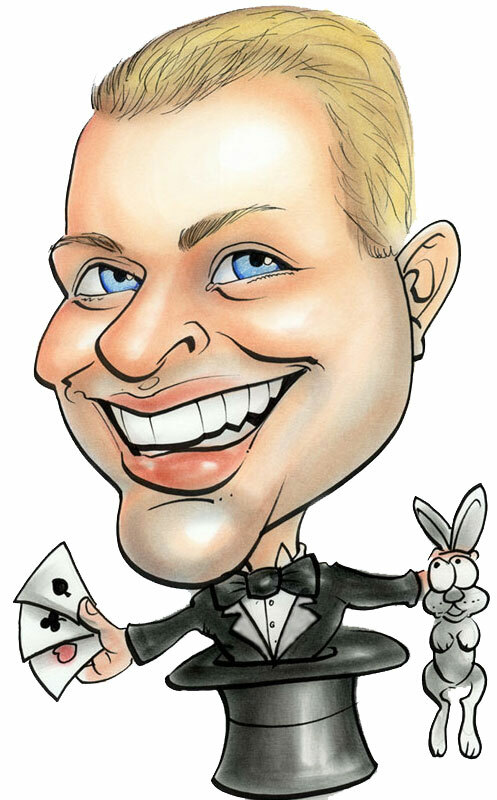 Marcus Eayres can tailor his magic show to suit your needs, whether you require a Magic show for a children’s party, playgroup or school, or for close up magic in your own home for entertaining guests or business clients. Having a magician at your wedding or private function will add that little extra magic touch to your special day, whether mingling at a reception or entertaining at the table during your wedding dinner or banquet. Imagine the reaction of your guests or business associates when amazing close-up magic is performed right in front of their very own eyes. No camera tricks, no special stages just pure magic!! If you own or manage a restaurant have you ever thought of booking Marcus Eayres to perform close-up magic to guests right at their own table? It will undoubtedly give your restaurant the edge over the competition and be the talk of the town. Marcus Eayres has been entertaining and amazing audiences performing magic for over 30 years. Or call 01604 677011 or e-mail to Magic@itsakindofmagic.com. Terms & Conditions apply. Full payment is required in advance for all Magic Shows paid by Credit Card. If paying by credit card an additional 5% is added to cover credit card charges.